Prairieland Park is one of the few venues in the city able to handle a large cabaret or rocking outdoor show. We have everything you need to create a memorable experience for your guests. Whether you are an agent or a talent manager or a fundraiser/event manager, we have the space, the staff and the know-how to create an amazing event. The outdoor grandstand consists of a 40’x60’ stage with an open asphalt tarmac, and ample covered seating. Access to two full service washrooms and onsite dressing room trailers are also available. The Kickn’ Horse Saloon is a perfect area for your next family reunion, outdoor country wedding or smaller outdoor stage production. The ‘main midway’ area can operate as a closed course for driving instruction. 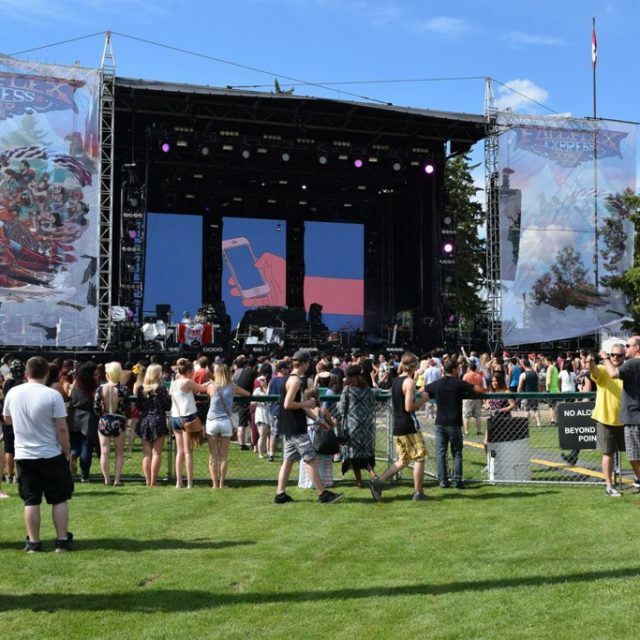 Beyond the venue, Prairieland Park can also offer a host of services including; security, set-up, full audio visual and lighting crews, ticket sellers, and liquor servers. The dedicated staff would be happy to walk through all the details of your specific event. Contact them today at contactus@prairielandpark.com or 306.931.7149 for products and pricing. See our gallery of outdoor set-up options below or review the site specifics of each of the spaces on the Outdoor Spaces Page.